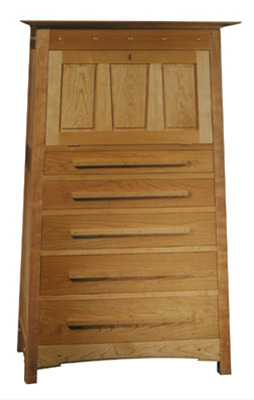 Natural cherry four tapered cabinet. Every piece of wood on this cabinet has some kind of an angle. Looks easy but took a long time. Featured on the back cover of Fine Woodworking Design Book 6. Made a few months before Big Redwood Highboy.